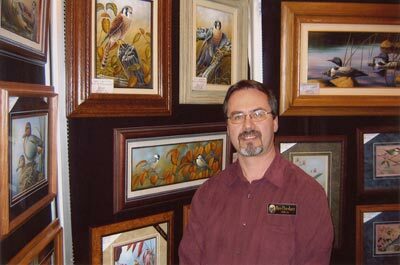 My spare time was devoted to learning how to paint wildlife, exhibiting my paintings at art shows, competing in various competitions including state and federal duck stamp contests. During that time, I supported my family as an electrician and then as a commercial artist. I'm proud of my accomplishments, which has lead me to my lifelong dream of being a full time wildlife artist. 2003 Nominated for the Sioux Falls Mayor's Award for Excellence in Visual Arts.